Below is the document from the Centers for Disease Control and Prevention (CDC) that schools/districts may use to meet this mandate which informs parents and students on concussion signs and symptoms. The CIF Acute Concussion Notification Form for Parents/Guardians is the recommended form for schools to use in communicating with parents/guardians when a student-athlete displays signs and symptoms of concussion. These three (3) documents (below) are to assist the concussed student to “return to the classroom and learning environment” in a scientific manner regarding brain activity. The Physician Letter to Schools Form is recommended for physicians to use when communicating with school personnel and parents/guardians. Medical science and concussion care experts have found that a concussed athlete must take a gradual and progressive, stage by stage, step by step return to practice under medical supervision to minimize risks and allow the brain to properly recover. A.B. 2127 and CIF Bylaws mandated a MINIMUM timeline, but medical experts recognize that many adolescent concussion patients may take much longer to recover. Always be cautious as returning to practice and play too quickly may have catastrophic consequences. 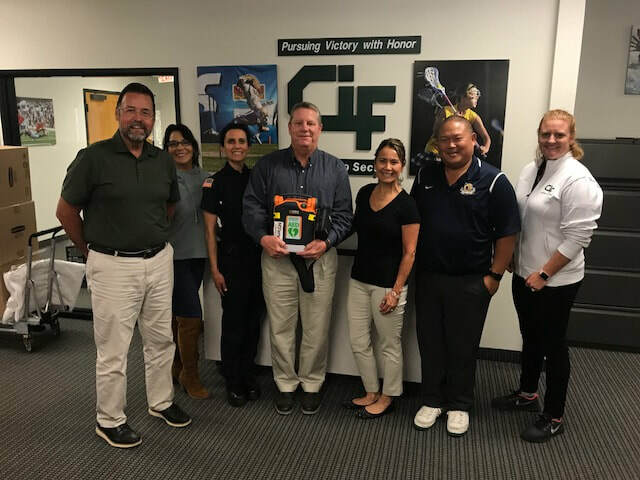 @EPSaveALife donated a brand new @CardiacScience AED for San Diego Section Championships. Sudden Cardiac Arrest (SCA) is not a heart attack. It’s an abnormality in the heart’s electrical system that abruptly stops the heartbeat. It's caused by an undetected congenital or genetic heart condition. 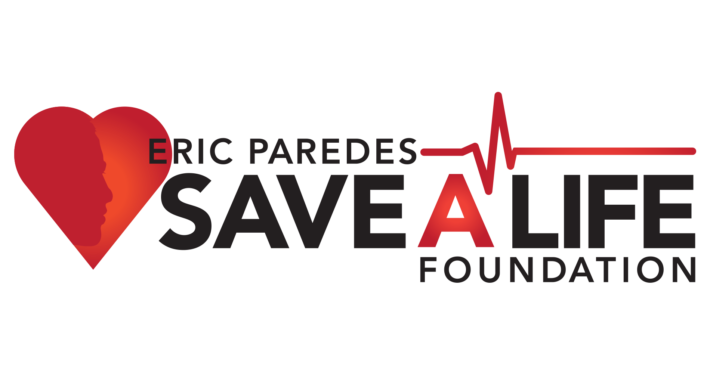 Possible Warning Signs: Unexplained fainting, shortness of breath, lightheadedness, chest pain, heart palpitations, family history of SCA or unexplained sudden death under the age of 50. SCA is 60% more likely to occur during exercise or sports activity, so athletes are at greater risk. SCA is also the leading cause of death on school campuses. If not properly treated within minutes, SCA is fatal in 92% of cases. These symptoms can be unclear and confusing in athletes. Often, people confuse these warning signs with physical exhaustion. SCA can be prevented if the underlying causes can be diagnosed and treated. National Institute on Drug Abuse - A great resource to find information about physical and psychological effects of anabolic steroid use. Kids Health for Parents - Information you should know about steroids. Anabolic Steroid Abuse - Resource for information on abuse of steroids. The Efrain Anthony Marrero Foundation - Tells Efrain's story and explains the risks and signs of steroid use. Taylor Hooton Foundation - The foundation's primary objective is to raise awareness among the general population about the dangers of steroid abuse. Skin Infections and MRSA Information- These documents from the California Department of Public Health (CDPH) were designed to educate and alleviate fears generated by staph reports. H1N1 November 4, 2009 - The California Interscholastic Federation (State CIF) has received several inquiries related to the H1N1 Virus (Swine Flu) and its potential impact on upcoming State CIF Championships. While we recognize the desire of schools and communities to have students participating in these events, the CIF places the safety and health of everyone involved – both participants and spectators – as our top priority. Toward that end, the State CIF Executive Committee has requested that staff distribute the following policy regarding the H1N1 Virus (Swine Flu) and State CIF State Championships. Teams from schools that are closed due to the H1N1 Virus (Swine Flu) will not be allowed to participate in State CIF Championships (including regional play) until the school has been re‐opened and classes resume (i.e. a school closed on Friday would not be considered re‐opened until classes resume on Monday). In an effort to provide a participation opportunity for schools in this situation, the State CIF will allow a State CIF playoff game in a team sport to be conducted later than its originally scheduled date on the bracket, provided that the contest is played prior to the next round of play. If a contest is not able to be completed within these parameters, the contest will be considered a forfeit by the school closed due to the H1N1 Virus (Swine Flu) and the other school’s team will advance in the bracket. The State CIF Sports Medicine Committee has advised that under no circumstances should a school participate in more than two football games within any eight-day period (bylaw 1905). The potential risk to the health and safety of participants causes serious concerns for the Committee. Students of schools that are closed due to the H1N1 Virus (Swine Flu) will not be allowed to participate in high school athletics until the school has been re‐opened and classes resume (i.e. a school closed on Friday would not be considered re‐opened until classes resume on Monday). Due to the high number of individuals involved in these events, it is simply not possible to move and/or reschedule individual sport state championships on such short notice. It is strongly suggested that sections, leagues and schools adopt this policy, or a similar one, in advance of facing these types of situations. The State CIF encourages schools and leagues to work together to balance the desire to have contests played while keeping the health and safety of participants and spectators at the forefront. Athletes should weigh-in before and after practice, ideally in dry undergarments in their to check hydration status. The use of light weight synthetic clothing which aids heat loss. Athletes should wear light colored clothing. Well-balanced diet which aids in replacing lost electrolytes. Water or sports drinks should be readily available to athletes during practice and should be served, ideally chilled, in containers that allow adequate volumes of fluid to be ingested. Thank you to all of our member schools and guests for attending the 2018 CIF San Diego Symposium.